Jordan Crowder, age 27, of Johnson City, passed away Thursday, January 17, 2019 at a residence in Limestone, TN. 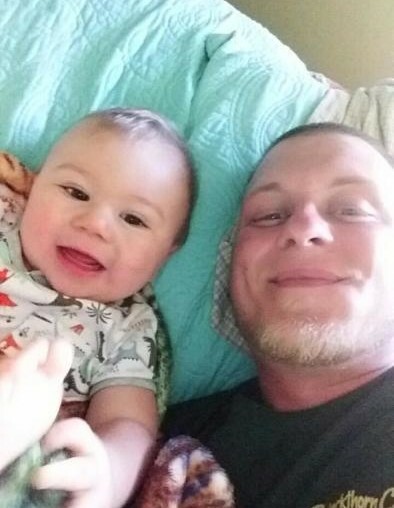 Born in West Virginia, he was a son of Renix Christopher Crowder, II and April Angelena Giordano Crowder of Johnson City. Jordan attended and graduated from Science Hill High School and David Crockett High School, and attended Crossroads Christian Church. Jordan loved the outdoors, and enjoyed hunting and especially fishing. He was a gifted motorcycle rider and he loved spending time with his son, Gatlin. He is preceded in death by his maternal grandfather, Albert D. Giordano. In addition to his parents, Jordan is survived by his son, Gatlin Crowder; his fiancée and mother of Gatlin, Madison Cook, Boones Creek; two sisters, Whitney and Courtney Crowder, both of Johnson City; paternal grandmother, Sandra Crowder; paternal grandfather, Renix Christopher Crowder, Sr., and wife Linda; maternal grandmother, Shera L. Childers; two aunts, Vanessa Humphrey and husband Robert, and Anne Crowder; two uncles, Eric Crowder and wife Kelly and Ryan Crowder and wife Renee; seven cousins, Matthew and Mitchell Humphrey, Kaitilyn and Haley Crowder, Colton and Conner, and Felicity James; two nephews, Blaken Ward and Christian Crowder; one niece, Kiley Crowder; two friends, Josh Webster and Jake Webster. Several other Aunts, Uncles, and Cousins also survive. The funeral service for Jordan will be conducted at 6:00 P.M. Monday, January 21, 2019 in the East Chapel of Appalachian Funeral Home with Mr. Clint Andrews, Minister officiating. A eulogy will be given by his friend Josh Webster. The family will receive friends Monday from 4:00 until 6:00 P.M. in the East Parlor of the funeral home. The graveside service and interment will be conducted at 11:00 A.M. Tuesday, January 22 at Oak Hill Cemetery, Johnson City with Mr. Kit Dodson, Minister officiating. Active pallbearers will be Eric and Ryan Crowder, Matthew and Mitchell Humphrey, Josh and Jake Webster. Those who wish to attend the graveside service are asked to meet at the cemetery at 10:50 A.M. Tuesday. Because of Jordan’s love for the outdoors, the family has requested memorial donations be made to the Tennessee Wildlife Foundation, 300 Orlando Avenue, Nashville, TN 37209, or visit www.tnwf.org/donate.